After a fifty year relationship with Omega U.K. Dennison was replaced as Omega’s principle precious metals case maker by David Shackman & Sons of Chesham in 1968. Shackman continued to produce cases for Omega until the Eighties, but many cases were imported directly from Switzerland when the Gold Standard was dropped in the Seventies. While it is not uncommon to encounter a Shackman case housing calibre 564 Constellations of the later nineteen-sixties, chancing upon a calibre 712 model 167.5435 (shown below) is a far rarer experience. The design of the 167.5435 is based on the calibre 712 model 167.021 (167.0021 in the Omega Database) produced in Switzerland. The 167.021 was a direct replacement of the calibre 551 powered 167.005 and catered for the growing interest in ultra-flat cases. However Omega U.K. decided to dress up its version of the case with a finely machined bezel, which elevates the design into the ‘dress watch’ or ‘Montre Bijoux’ genre quite successfully. The model featured here and owned by AlanC was encased in the U.K. in 1969 as evidenced by the hallmarks on the inner case back. The movement was produced in late 1968 and was shipped with hands and dial to Omega U.K. The dial is 18 karat gold, another British diversion from the Swiss norm. The dial features the OM stamps at six o’clock, standing for ‘Or Massif’ and translates to ‘Solid Gold’ in English. Omega used this mark on many, but not all, solid gold dials in the later nineteen-sixties to distinguish between solid gold and other metal dials. The addition of fancy bezel and solid gold dial continued the Constellation “De Luxe” tradition for the British market only. Few rather than many of these pieces were produced from nineteen-sixty-nine to seventy-five, making them an ideal and eminently collectible addition to any collection of British Constellations. Very nice and as you say, quite rare now. There was an even more luxurious version with ref 367.5435 - basically the same watch but with a solid gold bracelet fitted as standard. I believe the bracelets were soldered onto the case and therefore fixed permanently. Yes, thanks for your input. I have seen a number of these pieces with welded bracelets, but not this particular model. 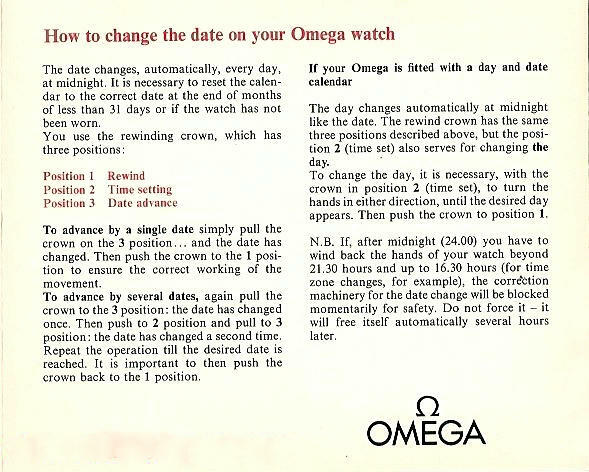 Omega UK also used to offer a service to remove the lugs and weld an Omega bracelet on after market. I have a recently aquired 367.5435. I would like know if its genuine, how do i upload photos. JUst post your email address, I wont publish it, and will send you an email.